Green houseplants are making a huge come back! 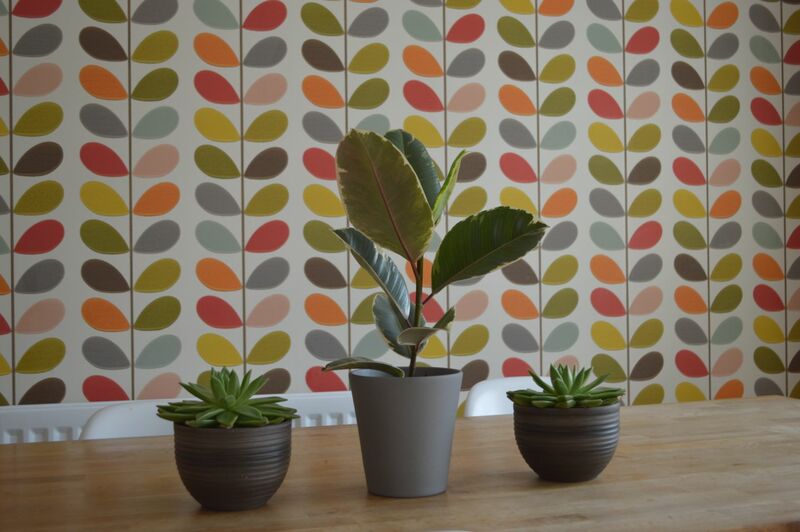 We can’t get enough of them; everywhere you look you can see bold green plants; printed on textiles or cushions, on statement wallpaper and of course the real deal – a lovely green, luscious plant occupying a space in your home. Obviously, we love this new trend and we would love to help you get to know your Yucca from your Calathea! This is the great, green goddess of houseplants (see plant in the blue pot above). Easy to to care for and will thrive if you treat her well. We have watched ours in the office literally grow before our very eyes! She loves bright but indirect sunlight. She has lots of pointy long leaves and a sturdy trunk and we think she looks great as a statement piece at home. Some top tip from our growers; don’t forget to re-pot her if she is starting to outgrow her pot and don’t over-water her! You might know them as zebra plant and rattlesnake plants? These guys come in so many different varieties. You’ll recognise them from their signature huge, big leaves. 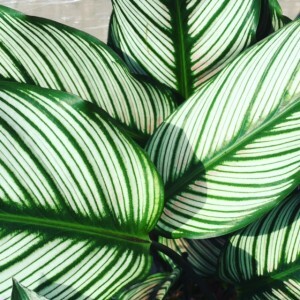 We like to think of the Calathea as the king of houseplants with their ornately patterned leaves. If you keep him happy and the soil moist (Not too wet!) he will grow beautiful new leaves for you too. Something to watch out for; look at him move his leaves as dusk dawns and night sets in. He pulls his leaves together and you see the purple underside; less patterned but absolutely stunning and mesmerising to watch. If you are looking for foliage, these have lots and lots of little green leaves. 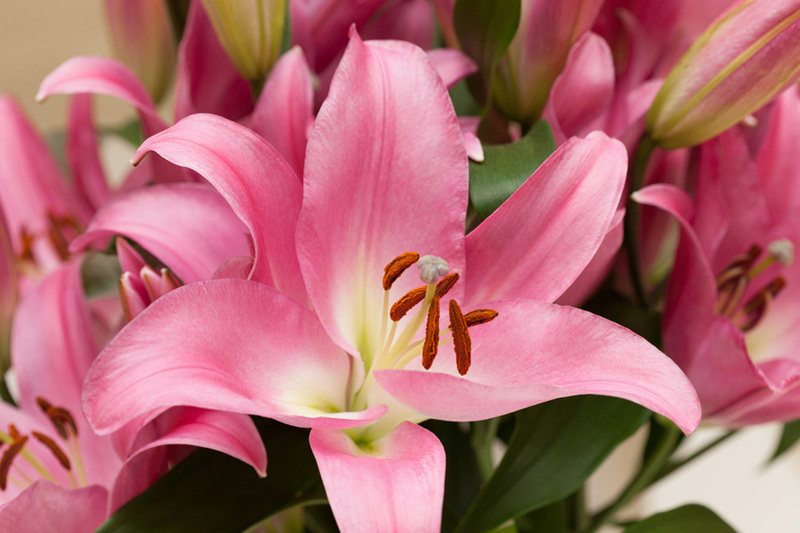 They are super easy to care for and look great! Definitely one for a first time houseplant owner. Did you know there are lots of different Ficus varieties. We rather like all their latin names. Ficus Robusta (see top image, middle plant) is a big leafy beauty, Ficus Danielle and Ficus Twlight have a huge abundance of little leaves. 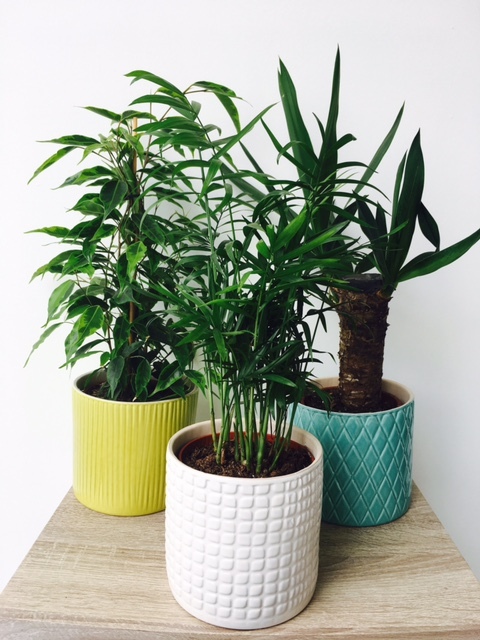 We personally think they are all stunning and love grouping them in various corners of the home! So what are you waiting for.. go on.. get out there and join the latest trend. Your home needs some green! It’s always Christmas at Hills! © 2019 Hills Plants. All rights reserved. Website by Buzzword.